Order direct from the author. 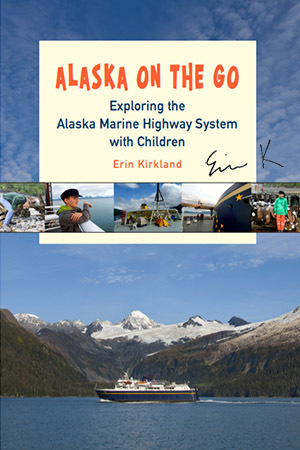 Choose from a signed copy of Alaska on the Go: Exploring the Alaska Marine Highway System with Children (shown at right) or an unsigned copy. 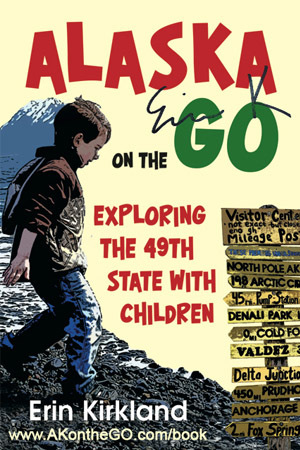 Our first book Alaska on the Go: Exploring the 49th State with Children is also available for order. Choose from a signed copy (shown at right) of Alaska on the Go: Exploring the 49th State with Children or an unsigned copy, and start planning your family's wild times in the Last Frontier. Or, make it a gift for someone special. Thank you for supporting this author's efforts to share the many ways families can enjoy Alaska. Saturday, March 25, 2017: Alaska Summer Showcase. Noon-3, Alaska Native Heritage Center. Limited books available. Be the first to own a copy of Alaska On the Go: Exploring the Alaska Marine Highway System with children. Saturday, April 22, 4-6 p.m. Kaleidoscape Play Studio, University Center Mall, Anchorage. Official release party, book signing, and author meet-and-greet. Children and families welcome! If you'd like to carry this book for retail sale, you can order direct from the distributor. If interested in hosting an author signing or reading, please use the AKontheGO CONTACT page to reach Erin Kirkland. Visit AKontheGO.com for regular updates on family fun activities in Alaska.